But of course they do – It just doesn’t happen in Pittsburgh. Reading Andrew Brandt’s column in MMQB on the Kirk Cousin’s “How do you like me now?”call out to Washington Redskins General Manager Scot McCloughan, brought home just how wise Dan Rooney was to install the Steelers regular season contract negotiation blackout policy in 1993. Can you imagine something like the Kirk Cousin’s incident happening in Pittsburgh? No, neither can I. That’s not to say that the Steelers are immune to contract malaise. Alan Faneca was not happy about not getting his extension in 2007, and he grumbled about it loudly in the off season, but that ended when the games started. Jeff Reed likewise was unhappy that the Steelers didn’t extend his contract in 2010, and that unhappiness perhaps contributed to Mike Tomlin’s decision to cut him. But by and large, you don’t see these types of contract-based stories popping up in Pittsburgh during the regular season. It wasn’t always that way, however…. Free Agency Comes to Pittsburgh…. 1993 was the first season that the NFL experienced free agency, thanks to the Freeman-McNeil verdict. The new era saw the Steelers say good by to long-time stalwarts like Tunch Ilkin, but allowed them to bring in veterans like Hall of Famer Kevin Greene. 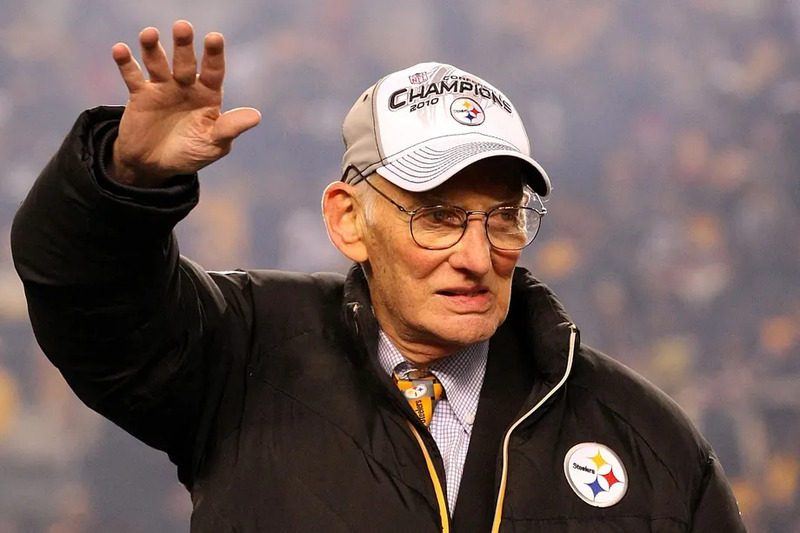 At the time, most fans thought that Dan Rooney was cheap, but the Steelers also pioneered success in the salary cap era by resigning their own players. 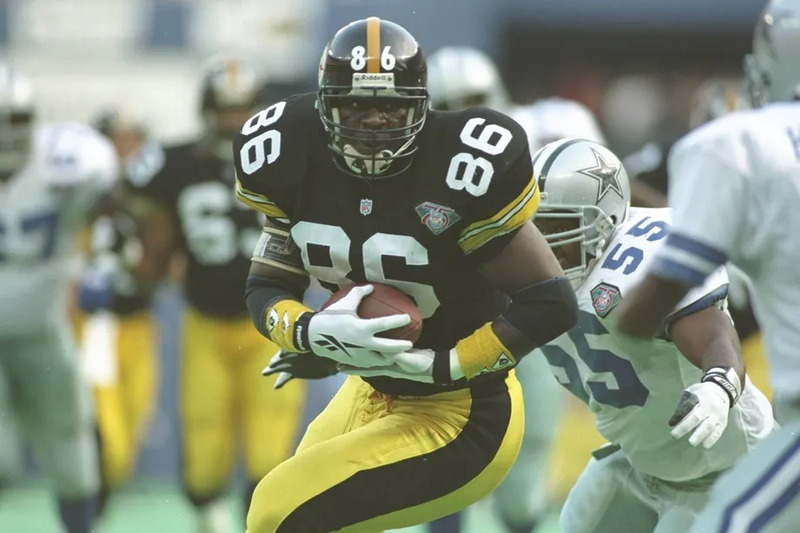 During that 1993 off season, the Steelers came to terms with Neil O’Donnell, Greg Lloyd and Dermontti Dawson a year before their contracts expired (O’Donnell had been a RFA). They also wanted to reach similar deals with Rod Woodson and Barry Foster, but couldn’t get them done in the summer. So negotiations continued, as the 1993 Steelers got off to a 0-2 start. Week 3 saw them resign Barry Foster and then resign Rod Woodson. 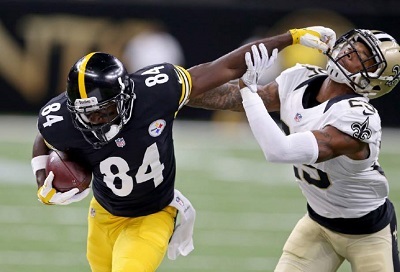 The Steelers also blew out the Bengals 34-7 that Sunday. Patricia Rooney is the only one who knows if her husband Dan watched ESPN PrimeTime that night, but Chris Berman’s lead on the Steelers game talked about the Woodson and Foster contracts, and showed in image of a guy handing out money…. …If Dan Rooney did see that ESPN, he could not have been pleased. While the Steelers had locked up their best defensive player and, at the time, best offensive player the rest of the locker room was not happy, particularly because after inking Woodson and Foster, Dan Rooney and Tom Donahoe decided to cut off further negotiations until season’s end. As soon as Tom Donahoe heard that, Cooper was on the next bus out of town, heading to Minnesota via trade. After the season Bill Cowher, Dan Rooney and Tom Donahoe all agreed that contract issues had been a distraction for the Steelers in 1993. Their solution was to use the regular season to focus on winning, not negotiating. The results speak for themselves. Although he may have wanted his contract extension sooner than he got it, Ben Roethlisberger certainly never considered walking off of Heinz Field and screaming “How do you like me now?” at Kevin Colbert, because the focus in Pittsburgh during the season stays where it should, on winning. While most of the news today focuses on the Steelers newly released 2008 schedule, that will be the subject of a future post. The news in focus today concerns free agent tight end Kyle Brady’s visit to the Steelers today. This is interesting because Brady was the top tight end in the 1995 draft. 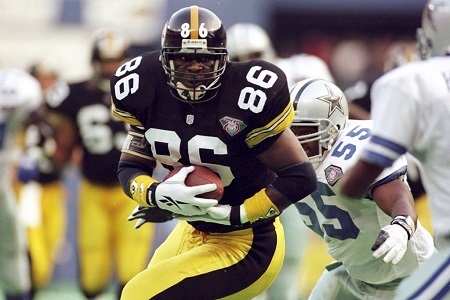 The Steelers entered the 1995 draft in need of a tight end, to replace the recently departed Eric Green. The Steelers of course picked Mark Bruener, after Brady went on to Jets, and he end up playing for the Jags and Patriots as well. 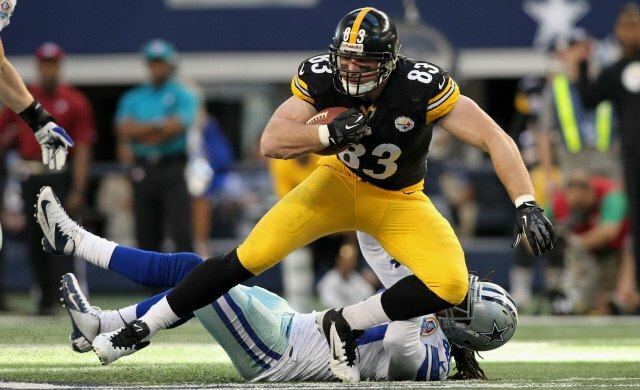 The question is, why are the Steelers considering a free agent move at tight end, and why are they interested in Brady? 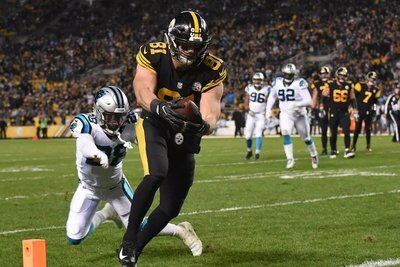 While the Steelers clearly didn’t have the personnel they needed to play a true three tight end set last year, it is still puzzling to think that they would expend precious cap space to fill that need now. One must figure that Brady, at the end of his career, is looking only for the veteran minimum. While did only caught nine balls last year, two of them were for touchdowns. He might be an interesting pick up…. Or is visit might signal that the Steelers might go back on their word and draft a tight end after all. This may turn out to be nothing, but it could be an interesting twist.